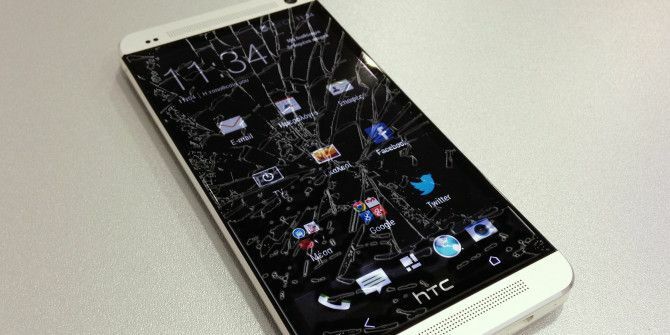 It’s called HTC Advantage and it promises to ease the shock of shattered glass on the glossy new HTC One series phone. Simply put, HTC Advantage is an offer that gives you a free one-time replacement for a cracked screen within the first 6 months of ownership. It is a U.S. only program for now and covers HTC One, One Mini, and One Max.. It is sweetened with a commitment for Android updates for up to two years of the launch and an additional 25GB to 50GB Google Drive space. HTC One falls in the premium band for phones, and the HTC Advantage addresses owner concerns. Large premium phones can be prone to accidents and cracked screens are not covered under the warranty. The HTC Advantage program is an industry first, and though it is only for HTC America for now, it gives a fair indication of their customer centric approach. Possibly, they have the data that backs up the frequency of cracked screens. Free Ground Shipping — HTC will provide a prepaid label to be used in returning your device for repair. This No Charge screen replacement process generally takes 8-10 business days to complete. Overnight Advanced Exchange — You pay $29 for shipping and handling and HTC sends a replacement phone overnight; you return your defective device using the provided prepaid label. Are you a butterfingered owner of a HTC One? Does the program help to reduce your anxieties with a new phone?